Making food for your own baby comes with a potential amount of benefits then it may seem. The first among many is consciousness about what you are feeding them. Parents have to make several decision about their children and nutrition’s one of the most essential ones. Homemade foods have its own sparks working on children as well as parents. The best way to start with your baby food is steaming them. Since steaming preserves most of the nutrients of the food. Baby food makers are plenty in the market, for example, blending, warming, defrosting, warming, grinders, Mills. But it doesn’t mean that in order to make food for your baby, you have to buy all of them. No, you make sure there’s no chunk left in the food. This can be made sure with other tools too. Wash your hands first and then your equipment. Scrub and peel the fruits or vegetables whatever it is you are cooking with. Steam, microwave, roast foods till they are at their tender form. You can store in refrigerator or freezer, in airtight containers. Before eating rewarm them and keep it outside for cooling down. 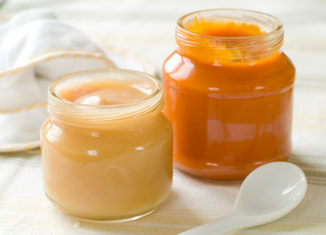 Ways to make homemade baby foods are many. What you need to learn though is that it should not have to hard process. There exists rather easy processes to make baby foods. One of the great thing about making baby food at home is your child get to share the same food with his family members only in melted version. A slice of ripe papaya, a piece of mango is also making food for your baby. So the bottom line is simple, if you have adopted eating healthy as family, you are good to go on sharing foods. It is full of vitamin A, C, iron, protein and calcium. If your child doesn’t like its skin, peel off for a smoother texture. Rice cereal has always been rated popular on the list for it’s easy digestion. Use a fairly thin texture so baby’s diet can make transition from a liquid diet to a more solid one. Sweet potatoes are have benefits of vitamins, antioxidants, fiber. Thus, it should also be a better health choice from which your baby can benefit from. A purée with a little amount of water or your baby’s milk is a total health treat. 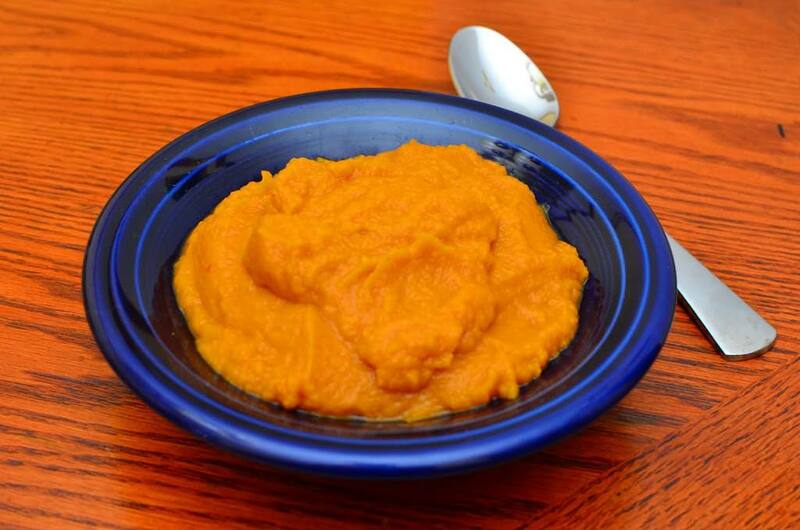 Potatoes, carrots, peas can make for a delicious combination of vegetable puree. Vegetable is a seasoning ingredient in this recipe. It is a good low sodium seasoning. Cinnamon is a smart way to stir things up and introduce a new taste to your child’s taste bud. A great breakfast, you can add this purée to a bit of cereal or a cooked oatmeal, which can also make for a great breakfast. For a full of iron mean you can always rely on a beef stew specially made for a baby. A classic food for the baby. You can look up in a recipe book or a YouTube video. But do not pressure yourself into thinking that you need to be prepared for that hard enough. Carrots are a wonderful introduction to solids. It has a natural sweet taste with a good texture. This meal of carrots can provide a rich supply of the antioxidant beta carotene and vitamin A. It is a dish full of protein and also very simple to cook. This inexpensive food, lentil deserves a special spot on your baby’s menu of first foods. a creamy combo can be made, puree with a thawed 10-oz. package of frozen spinach. When your baby is 4 to 6 months old, you need to use simple, single-ingredient purées. It helps you to spot and identify a food allergy or sensitivity. Once you measure your child’s tolerance to different foods, move on to try combinations to enhance flavor according to likeability. For a 7- to 9-month-old baby, you can make fairly thicker purées with multiple ingredients. You should introduce one new ingredient at a time and combine foods that you know aren’t allergic to your child. You can add meat and other proteins at this age period. At 9 to 12 months old, your baby can enjoy chunkier purées. You can also add dairy, such as cheese or yogurt to change the taste bud. At this age period, babies can advance to adult food and complex combinations, finely minced or softened. Remember that excessive heat can damage the nutrients of food. Outside foods are mostly made or preserved with excessive heat. For babies, homemade food is always a good option for abundant nutrition. However, the preparation of foods don’t need to be hassling. It was aimed to make you and your child feel at home and comfortable. In times of making food for your baby, you want to keep that as a cue. To know more about baby care and baby products please visit Saving Nook.